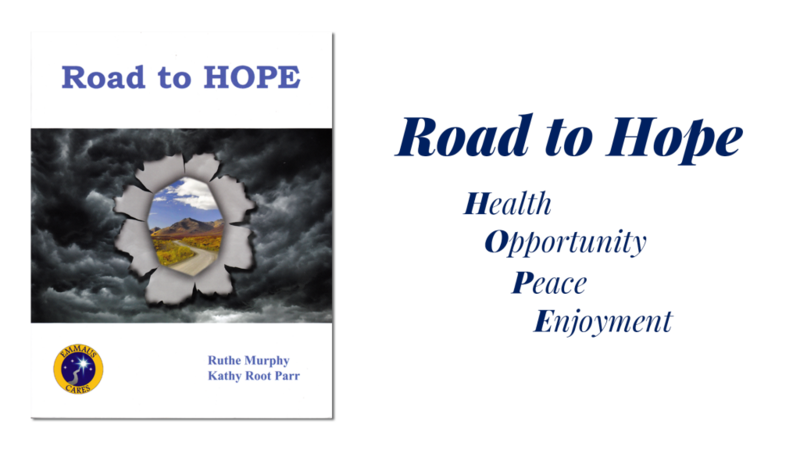 Road to HOPE is a systematic 15 step guide to becoming the whole, healthy person you were meant to be and would have been had you been given what you needed as a child. Each person is led one step at a time on a journey to wholeness and health. 1. Understand fully the negative effect of trauma, neglect, and abuse on your development, self-esteem, the perception of others and the world in general and to understand that you are not to blame for what happened to you. 2. Repair the damage that was done when you did not get what you needed as a child. 3. Reduce the level of anxiety in your life to increase energy and create calm so that you can learn new things. 4. Identify, understand and eliminate triggers – those situations that cause misperceptions and over-reactions to present situations. After an initial info and start-up session which covers steps 1 and 2, Road to HOPE runs for 12 further weekly sessions. Participants are given specific, practical steps to take to repair the damage and become emotionally healthy and mature. Because participants also learn how children develop and what they need to grow normally, they are then also able to use this information and these skills to become good parents to their children and stop the cycle of abuse. Groups begin in September and February and services are offered to both women and men. There is a small cost for materials but there is no cost to attend the program. To find out if Road to HOPE is right for you please read Why is Life So Hard?